Chef Series- These classes meet once a week for 3-4 weeks depending on how many weeks are in the month. 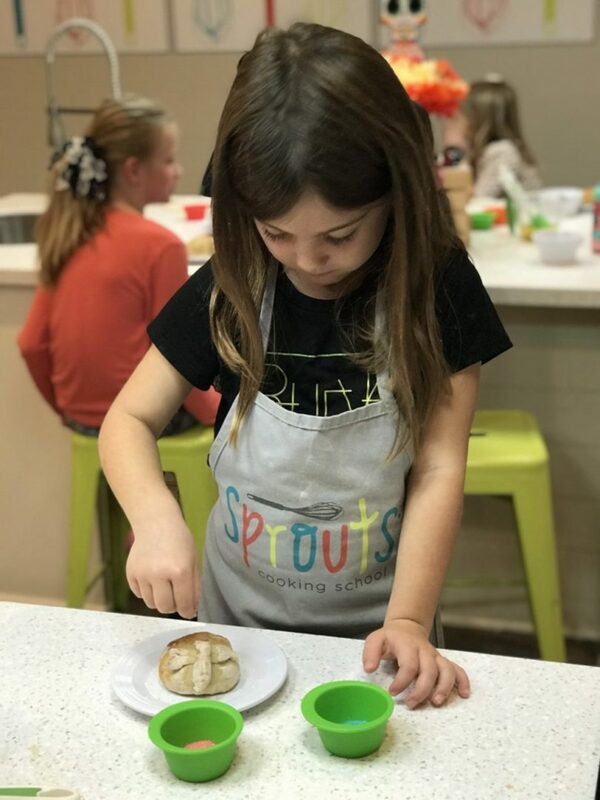 The last class of every semester class has a “Family Dinner” where 1-2 guests will have the opportunity to come to Sprouts to sample some of the food their student has learned to cook during class. Details regarding the time for family dinner are given on the first day of class. This is the perfect class for kids who have an interest in continuing culinary education! Single Session Classes– Usually offered on the weekends and are two hours in length. They are typically themed around the seasons and holidays. Family Classes– These classes are for a student and a special guest to cook together. Tickets are priced individually and you will need to purchase according to how many guests plan to attend. PLEASE READ SOME GENERAL INFORMATION ABOUT OUR CLASSES! ALL Tween and Teen classes require the purchase of a cut glove. This is a ONE time, $8 purchase that is kept by the student to continue their knife skill work at home and can be brought to future classes. Cut gloves cannot be purchased online. Please be prepared to bring your $8 card payment or exact cash (we do not have a register with change) to purchase this item on your first day of class! If you would like to register more than one child and they are in different age categories, please select the YOUNGER category as older divisions use real knives and are on heat and this might not be a safe choice for your younger child.